Help children pedal towards Happiness! Help us fulfil wishes of 11 Thalassemia Major patients to own a cycle. These children also need blood every 15 days. I am the founder of a registered not for profit organization called The Wishing Factory. We work towards the welfare of Thalassemia Major and Blood cancer patients by providing free Healthcare and Education to deserving patients. We also fulfill the wishes of terminally ill patients. 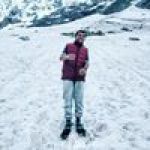 Feel free to ask Partth R Thakur for a new update on this Fundraiser. [Video Message] You heroes have made the wishes of 375+ Thalassemia Warriors come true with your support. 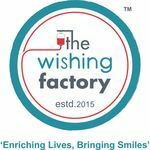 The Founder of The Wishing Factory - Partth Thakur shares his thoughts about Thalassemia as an ailment and how beautiful beings like you are standing as a pillar to make wishes come true. Cycling is a sport which gives anyone who takes to two wheels an enormous sense of freedom. Leaving the stresses of daily life and pedaling away without a care in the world, whether it’s in your local lanes or high in the mountains miles from civilization. 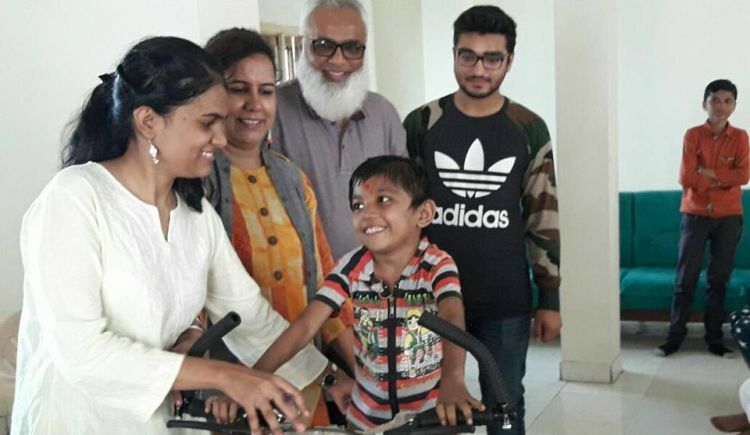 There’s little that can beat the beautiful simplicity of a pedaling away and which is why, we at The Wishing Factory, love to fulfill wishes of Thalassemia Major Patients. Of the 45 wishes, we received in Hyderabad recently, 11 children wished to have cycles of their own. These wishes were recieved as a part of an event titled 'Choti Si Asha' conducted in association with Lets Help Some1. Talking about numbers, due to your generous help in the past, we have fulfilled 311 wishes in India so far, out of which over 70 wishes have been of cycles. Each cycle would cost us 4000/- which is why for 11 cycles we need a total amount of 44,000/- to make these wishes come true. Please help us fulfill these wishes. We truly believe that those who bring sunshine into the lives of others cannot keep it from themselves, and if our endeavors bring joy in just one child’s life or can ease the pain of even one parent, those endeavors were worth the efforts put in. 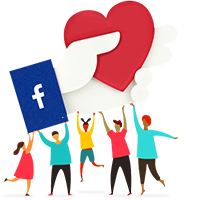 We shall tag you on our Facebook page and send a picture once the child receives the cycle. Gratitude is the best food and fuel to start the day, come help us make this possible. Your message will be directly emailed to Partth R Thakur and you will receive his/her response on the email address entered below. Your message will be directly emailed to The Wishing Factory and you will receive his/her response on the email address entered below.